SMALL BITE: What goes better with a great meal than a spectacular view of New York City? You’ll get both in spades at Asiate, a stylish, contemporary Asian-fusion restaurant on the 35th floor of the Mandarin Oriental hotel in the Upper West Side. Asiate serves breakfast, lunch, dinner and brunch, using locally sourced produce. 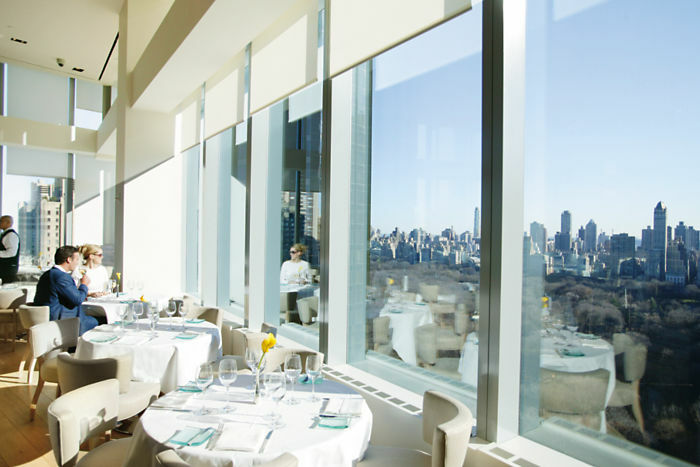 And it serves up one of the most expansive views of Central Park that you will ever see tableside. 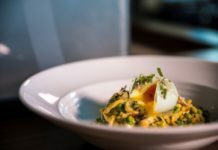 SIGNATURE DISHES: Some of the standouts include Buckwheat & Eggs, which pairs soba noodles with Osetra caviar and wasabi cream; butter-poached lobster with white polenta and kaffir emulsion. Not that hungry? 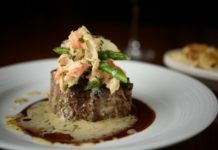 You can order a la carte, or from a three-course prix fixe menu. Too many choices? For dinner, you can order from a seven-course tasting menu. FOOD FOR THOUGHT: Asiate has a “wall of wine” that holds more than 1,300 bottles. HOURS: Breakfast: Daily, 7:00 a.m. – 10:15 a.m. 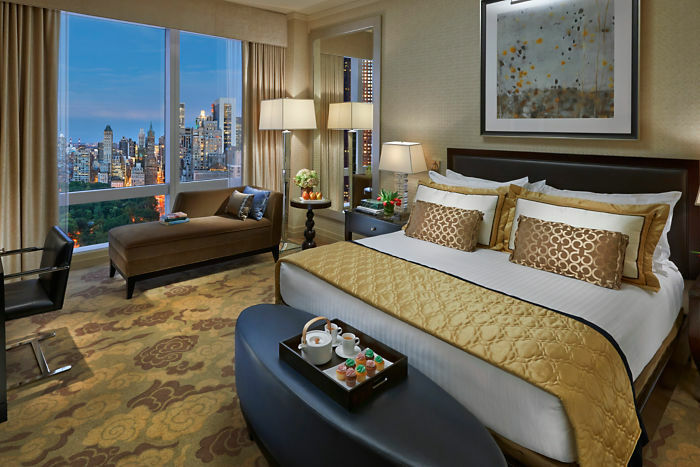 Lunch: Monday through Friday, 12:00 p.m. – 1:45 p.m.
Dinner: Daily, 6:00 p.m. – 9:45 p.m.
Brunch: Saturday and Sunday, 11:45 a.m. – 1:45 p.m.
ABOUT MANDARIN ORIENTAL NEW YORK: Located on top of the Time Warner Center, Mandarin Oriental New York features stunning floor-to-ceiling windows that overlook the Hudson River, Central Park and Manhattan’s skyline. Their 244 luxurious guest rooms range from 800 square feet to the size of a house — 2,640 square feet. 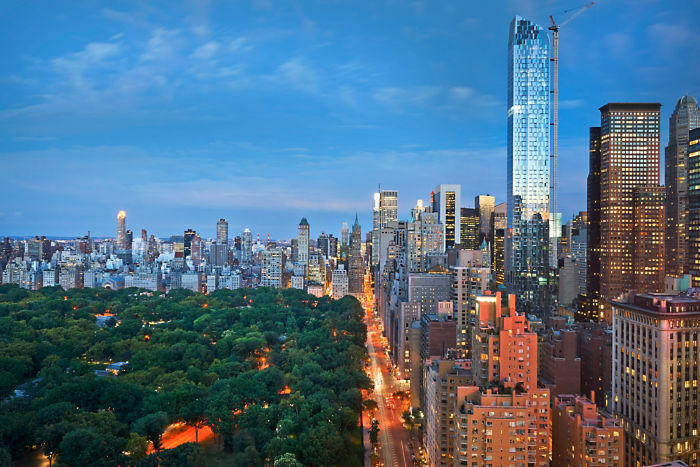 The hotel is pedestrian-friendly, as it is within walking distance of Fifth Avenue, Broadway and the Lincoln Center. 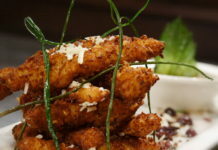 See other Great Hotel Restaurants in New York City!